Berlin one of the world's most vegan-friendly cities, seemed like the perfect place for a vegan supermarket chain, yet it failed dismally, not because there weren't enough vegans, but perhaps because there were too many. Vegan food is everywhere, so vegans have no need for their own supermarket. And the same thing appears to have happened with convenience stores in Taiwan. There was a time that finding a vegan meal was so hard one had to resort to convenience stores, yet that is no longer the case, so it seems that convenience stores no longer have the need for - or the profits in - feeding vegans. In 2018 the best option, if one is desperate enough, is a vegan rice burger, that is a burger made from rice pressed together in place of a burger patty. It's not a five-star meal, but it serves a purpose when desperate enough. Take it to the counter to be microwaved. By 2018, these are the only hot vegan meal available at the main convenience store chains. 7-11s held the top place for vegan food for years, but now all they usually have is a range of nuts and dried fruits. Most are vegan, but beware that some nuts contain fish (usually shown in pictures) but it pays to check for the vegan symbol to be sure. Vegetable crackers like this have been around for years, and sometimes turn up in smaller convenience stores (as in local ones, not the big chains like 7-11 and Family Mart, which generally run their own lines). 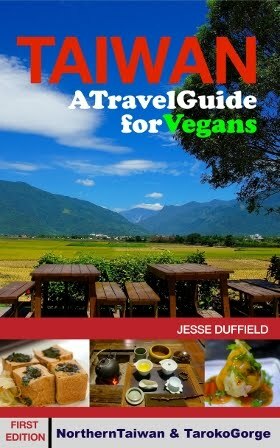 Check for Taiwanese vegan food labels. These aren't the healthiest, but they taste quite good, and are safely vegan. Thank you! Sorry this was all out of date, but I'm updating it now. And sorry the Penghu links seem fine to me, so I'm not sure what the problem was there. I hope you had a great time in Taiwan anyway!